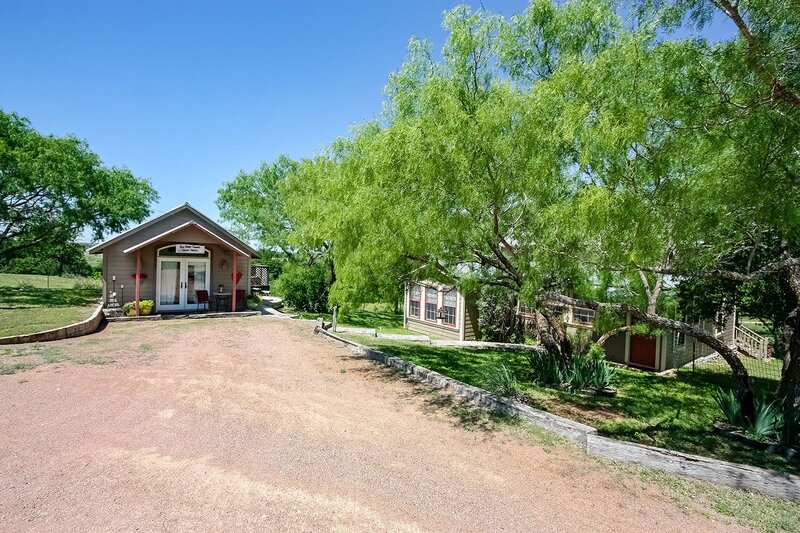 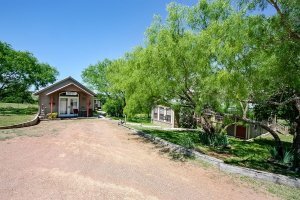 The Big Rock Ranch Guesthouse is directly behind the Big Rock Ranch Sunday Haus. This little guesthouse is the perfect place for two persons. 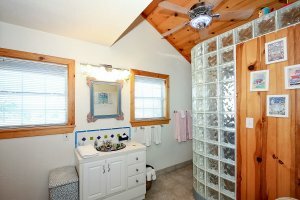 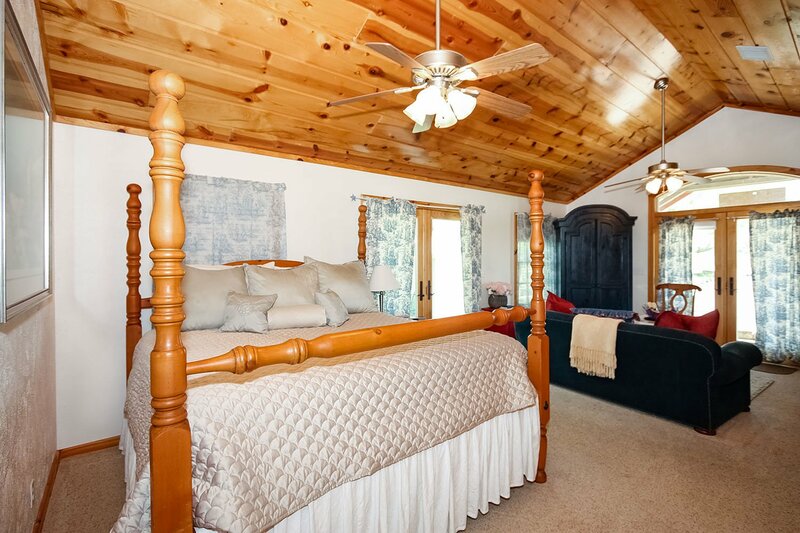 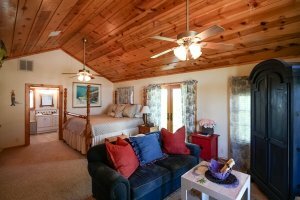 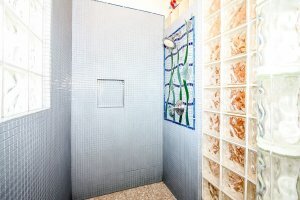 The open concept, the king-size bed, the unique walk-in shower, and a private hot tub makes this a perfect getaway. 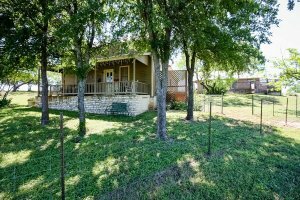 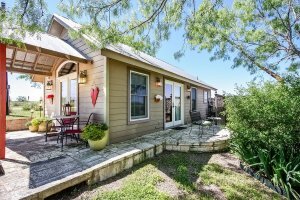 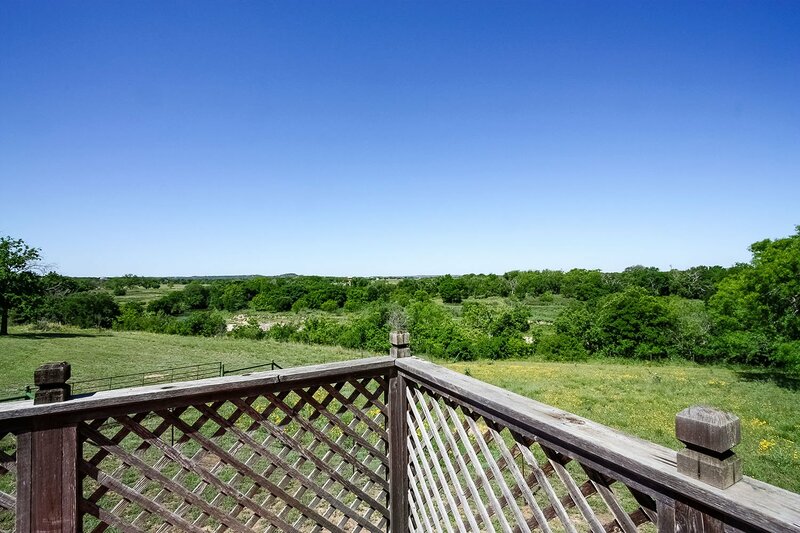 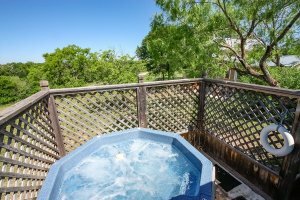 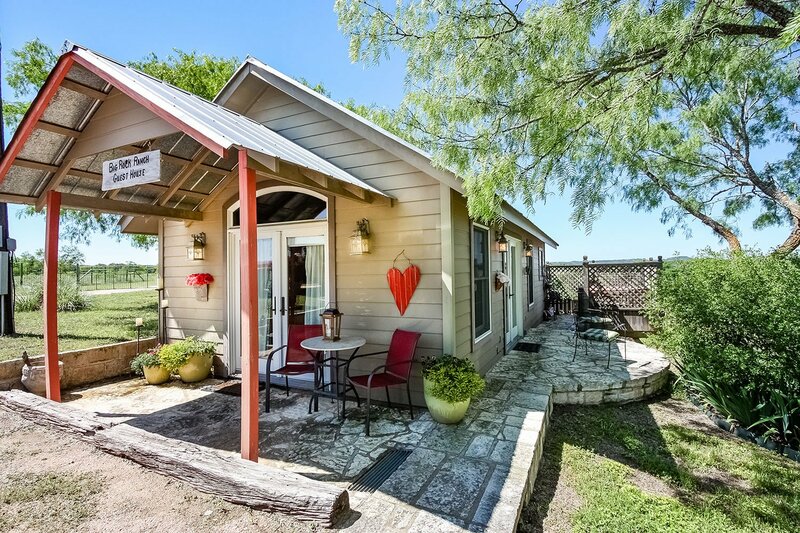 The views of the river and the Hill Country are perfect for a great weekend. So come and visit the Hill Country.